In late March, Governor Rick Scott signed a bill into law that affects foreclosure defense in the state of Florida. Specifically, Senate Bill 220 addresses the property rights of defendants with respect to the overlap between bankruptcy and foreclosure proceedings. Below, we provide some clarifications when it comes to contesting a foreclosure after bankruptcy as a result of this new law. In Florida, when debtors file for bankruptcy, they must (at the same time) declare their intentions for any real property owned by them, which frequently includes their home. Typically, the options in these circumstances are to retain the property and make payments on it, or to surrender the property to the lender. A question arises when debtors choose to surrender the property, namely to what extent they can then contest the foreclosure and delay losing their home while they remain there? The bill is meant to address this question (as well as codify a recent decision that came out of the U.S. Court of Appeals, Eleventh Circuit) by expanding the rights of lienholders in foreclosure actions and allowing documents filed in bankruptcy proceedings to be admitted as evidence in foreclosure actions. Ultimately, the Eleventh Circuit decided that debtors who surrender their property and thereafter oppose a foreclosure action in state court can lose bankruptcy protection as to debt on the surrendered property. This is why it is extremely important to work with an experienced real estate/foreclosure defense attorney before you make any important decisions concerning your property if you are filing for bankruptcy. Once a debtor agrees to surrender property that is the subject of a mortgage, foreclosure proceedings may continue nearly unfettered. However, the law still allows defenses to be raised based on the conduct of the lender even after the property has been surrendered. 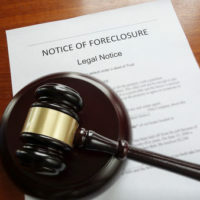 Those who work in foreclosure defense can work to sidestep the restriction by raising post-surrender conduct or defenses (for example, those involving the statute of limitations). At Moran, Sanchy & Associates, our attorneys work hard to investigate all of the facts and ensure that you have what tools you need to stay in your home if that is your choice. If surrendering your home is your best option, we can also work with lenders in order to avoid you having to go through the foreclosure process, protecting your credit and ensuring that you do not end up owing more on the mortgage than is necessary. Contact us today to find out more.